Explore Queenstown's surroundings by going to Te Anau (Milford Sound, Fiord vintage machinery museum, & more), Cromwell Golf Club (in Cromwell) and Lake Wanaka (in Wanaka). On the 7th (Thu), spend an exhilarating day on the slopes at Coronet Peak. 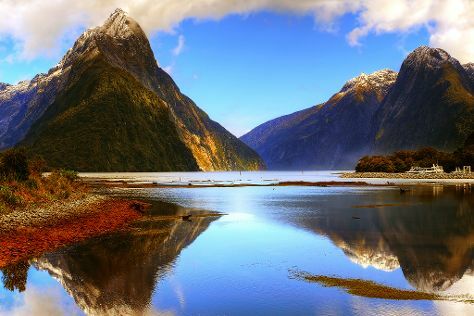 On the 12th (Tue), hike the day away at Hollyford Track. The adventure continues: relax and rejuvenate at some of the top local wellness centers, admire the natural beauty at Queenstown Garden, take your sightseeing to a higher altitude at The Remarkables Ski Area, and take an unforgettable tour with a helicopter tour. To see where to stay, maps, more things to do, and more tourist information, you can read our Queenstown day trip app . Wrap up your sightseeing on the 22nd (Fri) early enough to travel back home.